Beryl Graham, an educator, artist, arts organizer, and curator, is Professor of New Media Art at the University of Sunderland and coeditor of CRUMB (the Curatorial Resource for Upstart Media Bliss Web site). After graduating from Leiths School of Food and Wine in July 2006, Sarah joined the Good Food team as their cookery assistant. Spending much of her time in the kitchen, her tweaking and re-testing of new ideas helped ensure that every recipe had the perfect outcome for the readers. Now as cookery writer she regularly contributes her own features to the magazine, as well as working closely with many of Good Food's celebrity chefs. New Media Artï¿½Modernist or Avant- Garde? Summary: Curating in a Postmedium Condition? Summary: Dematerialized or Just Distributed? 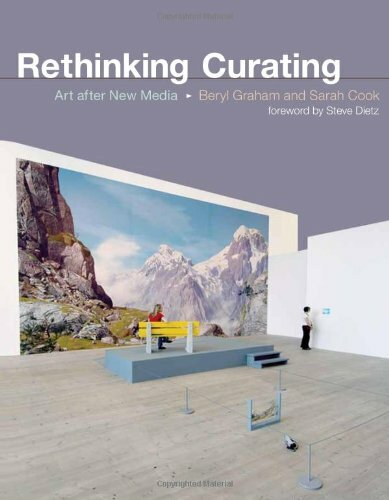 Summary: Curating in Real Time? Summary: How Participatory Are These Systems? Why Would a New Media Artist Want to Exhibit in an Art Museum? The Building or the Immaterial Systems? Summary: Artist- Led or Audience- Led? Critical Vocabulariesï¿½Which Verbs, Which Systems?